Ian Florance talks to clinical psychologist Jane McCartney about her book, her background and her media work. Jane McCartney has just written her first book Stop Overeating: The 28-Day Plan to End Emotional Eating for Good. Look her up in Google and you’ll find an impressive list of academic achievements (on her Dr Jane website) as well as a variety of other mentions: articles about her book in the Telegraph, Independent and Mail; quotations on issues as varied as weight loss, romance and cleaning; her own pieces for magazines and newspapers. 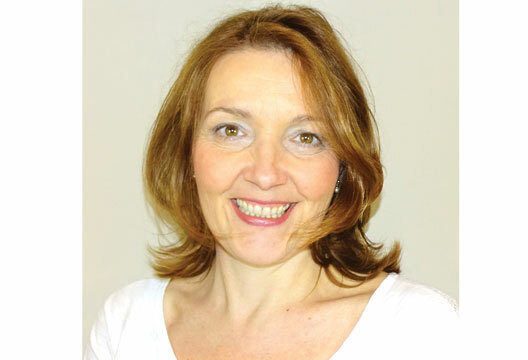 She is a Chartered Psychologist, has worked for the NHS for 11 years and in her own private practice for nine. Given this huge amount of activity, it’s not surprising that we had difficulty setting up a phone interview. We started with her book. Why had she written about that topic in particular? To cut a long story short, Jane took a degree in psychology at the University of Kent before taking PG Dips, an MA and a PG/Dip at London Guildhall and Metropolitan Universities. She was awarded her Doctorate in Clinical Sciences by the University of Kent in 2010. Jane started her private practice in 2005 and, not being one to rest on her laurels, started media work. ‘As I mentioned I’d worked on a local paper. I’d also been a researcher for a TV company. So, when I saw a piece in The Psychologist about a BPS media panel. I am now on the permanent list of commentators for certain programmes and I’ve appeared on This Morning, Sky News and BBC World TV as well as being interviewed in a lot of national papers.’ Many professionals are suspicious or critical of such activities. ‘You have to stay within your boundaries even if there’s pressure to comment on areas outside them. I’ve refused to comment on certain issues on air for that very reason. We also need to educate programme editors to stop using people who aren’t qualified. They muddy the water and, at their worst, give a totally erroneous view of what psychological science says and psychological practice does. That’s why psychologists should get involved in public discussions, with other areas of activity and, of course, writing.’ So, another book is on the cards? ‘Maybe next year. At the moment we’re developing a website linked to the overeating book.’ It’s at www.stopovereating.co.uk. There’s obviously a link between Jane’s desire to educate other health workers in psychology, her approach to client work (in which she helps clients to think about their issues) and her aims in writing books and appearing on the media. She is a psychological educator trying to improve general psychological literacy and input psychological understanding into adjacent practices. It sounds like a busy job, so I was glad we found time to talk.